Secret Superstar Third Day (Saturday) Box Office Collection. Very Good. 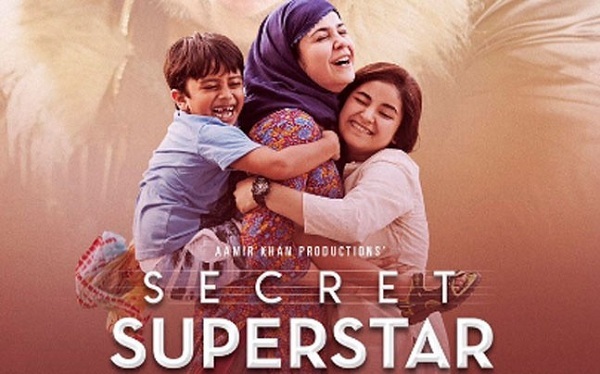 Secret Superstar has shown very good hold on Saturday (3rd day) at box office. Film showed a 5-10% on Saturday from Friday. Drop is nominal and suggest very good hold. Secret Superstar has collected an approx 8.65 crore nett on day 3. Thus, film total business after first 3 days is approx 22.75 crore nett. Film business so far is good. However, collection could have been better considering film got wide release and of course the Holiday period. SS first weekend business is heading towards 31-32 crore nett mark. Real test of the film will start from Monday onwards. Good news is film is made on extremely controlled budget and hence, recovery is not an issue at all. Saturday - 8.65 crore nett. Total - 22.75 crore nett. I am pretty sure today is sunday so how come you guyz already have the total collections of sunday? Yes. Thanks. Data is corrected now!